This design is especially for birthday party,and we also have other party series designs for your reference. Storage:Popcorn Boxes are folded so they will store easily under popper or in store room. 1. Any size, Logo, Design or any other requirements are available. PS:We do not have made ready product in stock and all our products are custom made and welcome your inquiry. 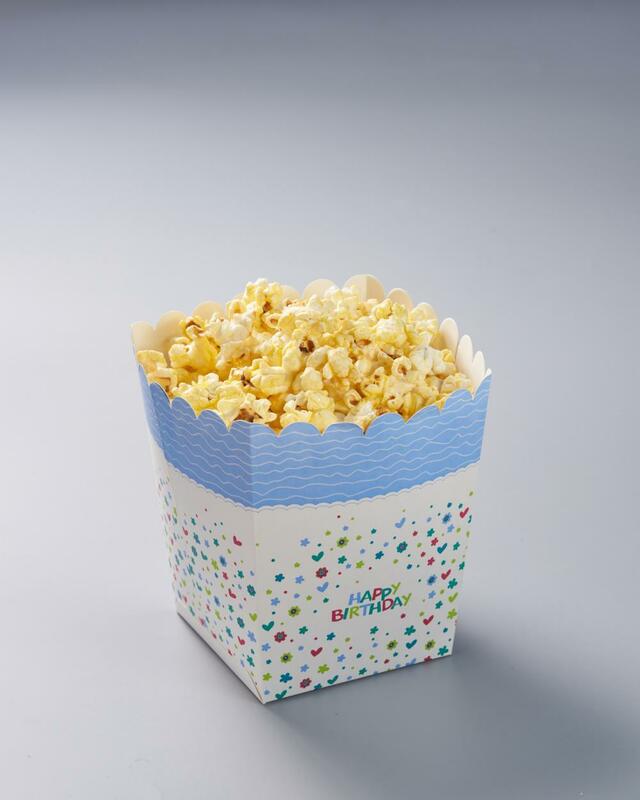 Looking for ideal Popcorn Box with Happy Birthday Printing Manufacturer & supplier ? We have a wide selection at great prices to help you get creative. All the Popcorn Box with FDA Paper are quality guaranteed. We are China Origin Factory of Flexo Printing is Suitable. If you have any question, please feel free to contact us.